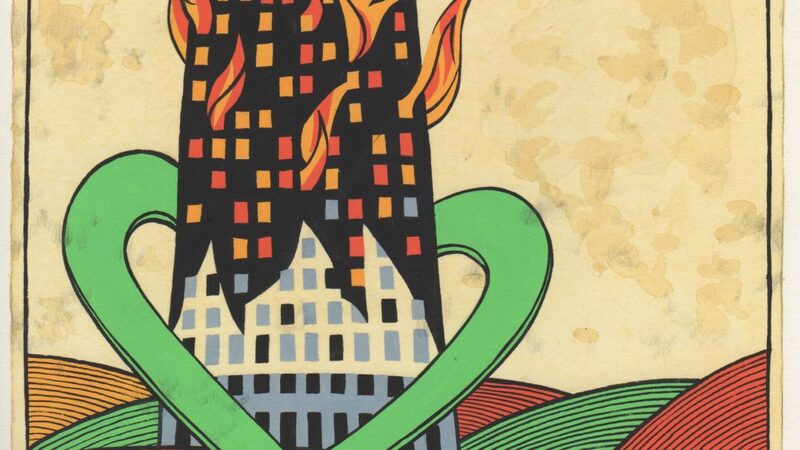 The Burning Tower, a new play, is an interactive response to the Grenfell fire exploring the history of social housing and the shadow cast by the tragedy. Inspired by interviews with local West London estate residents, it will be performed in council estate community spaces nationwide before a site specific performance at Kensal House estate, funded by Arts Council England. Sarah and Em are best friends who grew up together on West London estates. Since 2017, they’ve worked hard researching their estates’ past – as Living History youth ambassadors. Today they’re proud to invite us to their presentation on the local heritage of social housing. But Grenfell’s shadow threatens the show as the performance space falls into darkness, fuses blow and Sarah starts to panic. Will the mysterious old latecomer who keeps trying to take over prove a help or a hindrance? The company of The Burning Tower consists of three actors and five artists. The script was written by Helena Thompson, an award winning writer and Artistic Director of S.P.I.D. Theatre. Helena’s credits include The Burning Tower (BBC Radio 4), iAm (nominated for an Offie award), Arthur’s World (published by Oberon, which was performed to sold out audiences at Bush Theatre in 2015) and High Above the Sky, (animated film which won the ITV First Light award). The Burning Tower grew out of S.P.I.D.’s ground breaking Kensington Stories program and was inspired by interviews with West London residents. The award winning charity S.P.I.D. Theatre creates high quality community theatre on council estates. Since 2005, they have championed the voices of social housing. Their work dramatizing West London estates’ heritage has featured on BBC, ITV, London Live and in the national press. S.P.I.D. are based in the historic Kensal House estate 10 minutes from Grenfell Tower. Their Grenfell Matters campaign fights to ensure the victims of the Grenfell fire are not forgotten and did not die in vain. They advocate against the destruction of social housing and fight for increased investment in estates and to improve rights for those who live and work there. They are proud to announce having raised £1.4million to refurbish their own neglected, Grade II* listed estate space, thanks to funding from the Mayor’s Good Growth Fund and Big Lottery’s Reaching Communities. S.P.I.D.’s base in the historic Kensal House estate will be open as part of the Open House London architectural festival on Sat 22 (10am – 1pm) and Sunday 23 Sept (1pm-5pm). Local celebrities will be there to speak out in support of the charity’s work at 10am Sat Sept 22 and after the press performance 4.30pm Sept 19. S.P.I.D. Theatre in association with Bush Theatre presents The Burning Tower by Helena Thompson. Touring to council estates in Birmingham, Tyneside and Nottingham 31 Aug – 8 Sep in association with marketing partners Birmingham Rep’s The Box, Northern Stage and Theatre Royal Nottingham respectively, prior to performances at Kensal House Community Rooms, Kensal House Estate, Ladbroke Grove, W10 5BQ from 11 Sep – 6 Oct 2018.